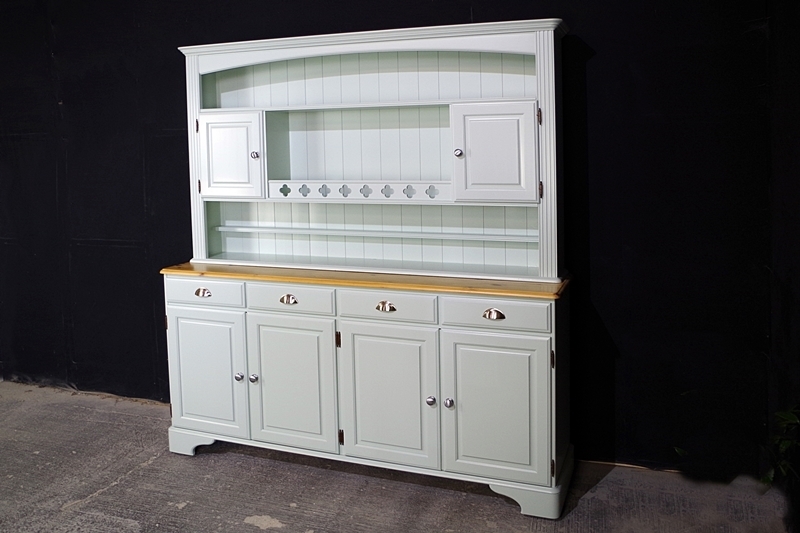 Ducal 4 door Pine Dresser in 'Tinkerbell'. 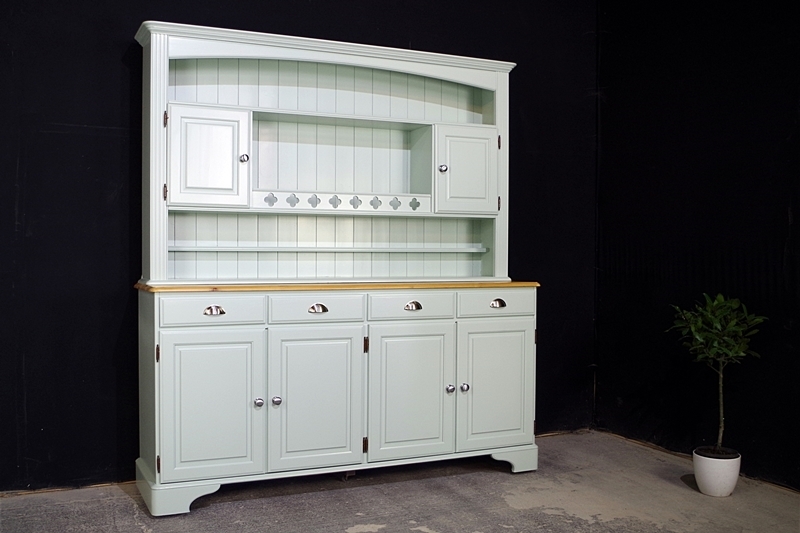 A pine country dresser with four drawers and four doors to the base, the doors have raised and fielded panels; the base has bracket feet. 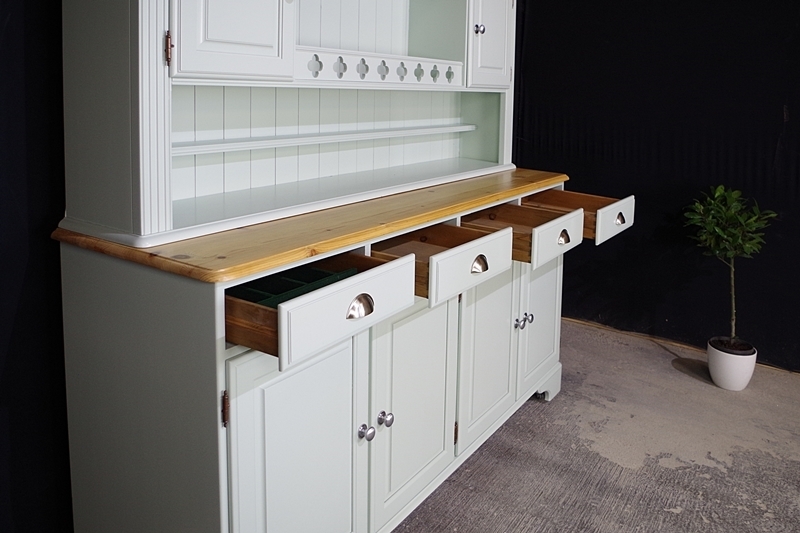 Two matching doors to the top with a wide open shelved section in between with a gallery rail. 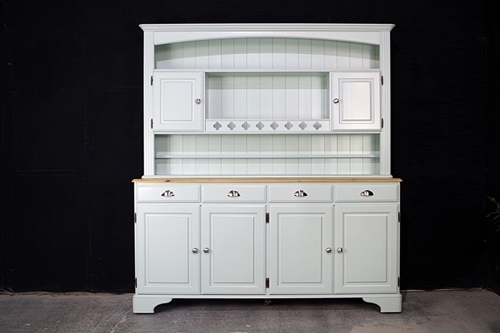 The dresser top is surmounted by a moulded cornice, below which is a sweeping pelmet above the open top shelf. 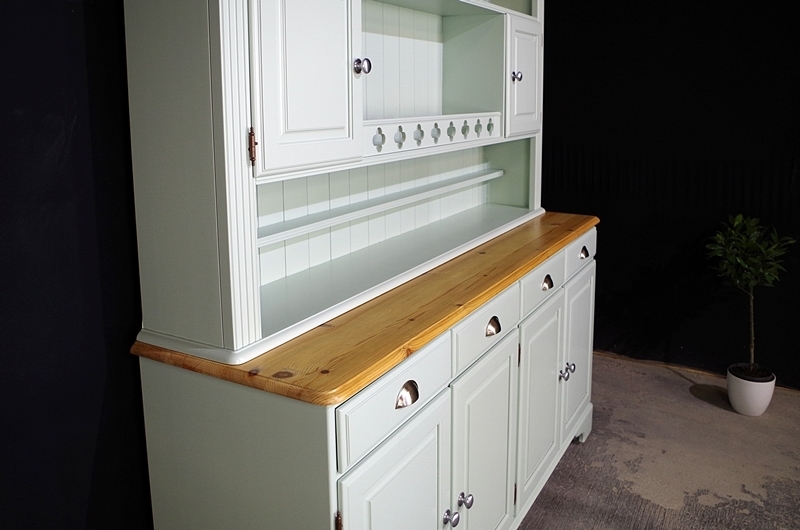 Our lovely customer Kate asked us to refinish her large dresser. 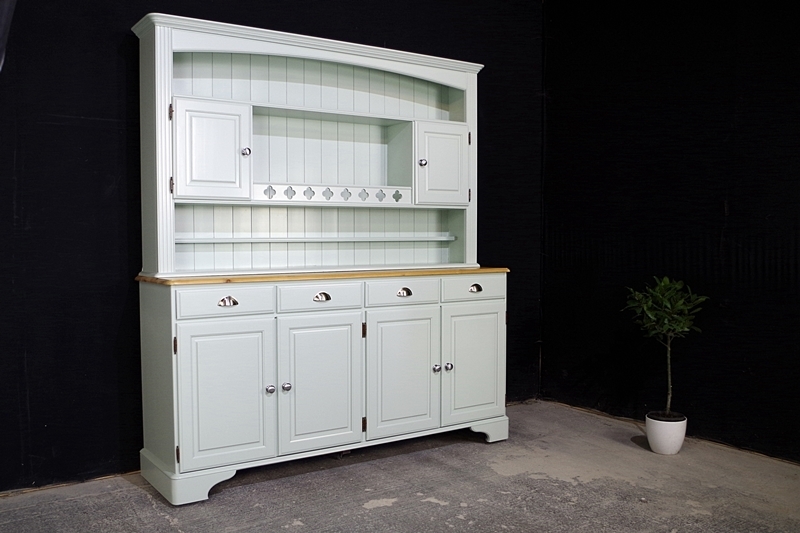 It is now the focal point in her new kitchen! To complete the refinish we added new Heritage satin chrome knobs and pulls.